Do you feel like you just need to get away and grow on your own? Solo trips are important not only to explore a new part of the world, but also to set apart time to take inventory of yourself. Leave the beer cans and blasting music at Daytona and grab your backpack. The world is yours. Traveling costs money. Figure out, at most, what you can spend and start there. That will narrow down your viewpoint before you get your heart set on New Zealand. Transportation will cost more if you’re looking to fly somewhere. 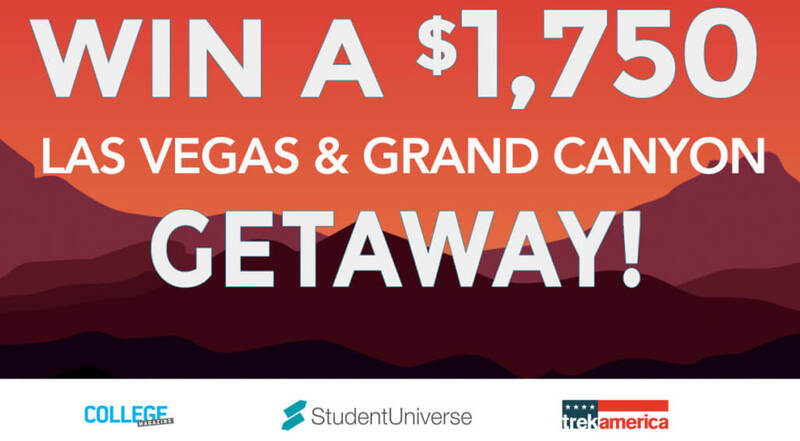 Use sites like Student Universe to find great deals and tips. If you fly often, look into using your frequent flier miles. You could also make a deal with your parents or grandparents where they pay for the flight and you pay for the rest. Since this is a solo expedition, choose somewhere safe or near relatives or friends. If your budget restricts you, choose somewhere you can access by car. Google national parks near you, drive to the coast or lose yourself in a city. If you’re looking internationally, try somewhere unexpected like Iceland or Belize. “Traveling solo is a wild experience because you have so much independence and there’s always a new adventure lurking around the corner,” said UVa sophomore Melissa Angell. If you want to go exploring somewhere off the grid or anywhere without cellphone service, make sure you someone knows where you are. Let them know when you plan on contacting them again to let them know you are safe, that way you won’t get caught in a 127 hours situation. Check out TripAdvisor for cool places around your destination. You can search for restaurants to try and figure out where to stay. Airbnb is a great and cheap way to help any struggling college student. Hostels are a good resource too if you’re okay with sharing a room. This part is the most stressful, so consider talking to someone who has already been where you want to go. They will have the best suggestions and help you through the parts of planning that can only be done with hindsight. Once you’ve made your choices, start calling. Book your flight and your room. Research what you need to do to experience your adventure. If you want to go kayaking or to a concert, you are going to have to book those in advance. And get your supplies. If you are going to be backpacking, you will need a tent and a sleeping bag. You can find places to rent those if you don’t have own everything you need. Pack light! Backpacking is definitely one of the cheapest ways to go, but it is not meant for everyone. Try living just out of one suitcase, luggage can get expensive. And even if it turns out to be a misadventure, you will still earn a good story. Treat every place like it won’t be the last time you see it. Don’t stress yourself trying to see everything. Breathe in the air like a local, enjoy the little things and enjoy the destination as a whole—not in parts.